Rules that hypothetical tax liabilities should be dealt with prior to grant of sanction, not post grant of sanction. Recently, the National Company Law Tribunal (“NCLT”) refused to sanction a scheme of amalgamation between Ajanta Pharma Limited (“AJL”) and Gabs Investment Private Limited (“GIPL”) on the ground that the scheme was designed purely for the avoidance of tax and was not in the public interest. AJL is a listed Indian pharmaceutical company. GIPL is an investment holding company owned and controlled by the promoters of AJL. GIPL held 83,92,262 equity shares of AJL constituting 9.53% of AJLs total paid up equity share capital. 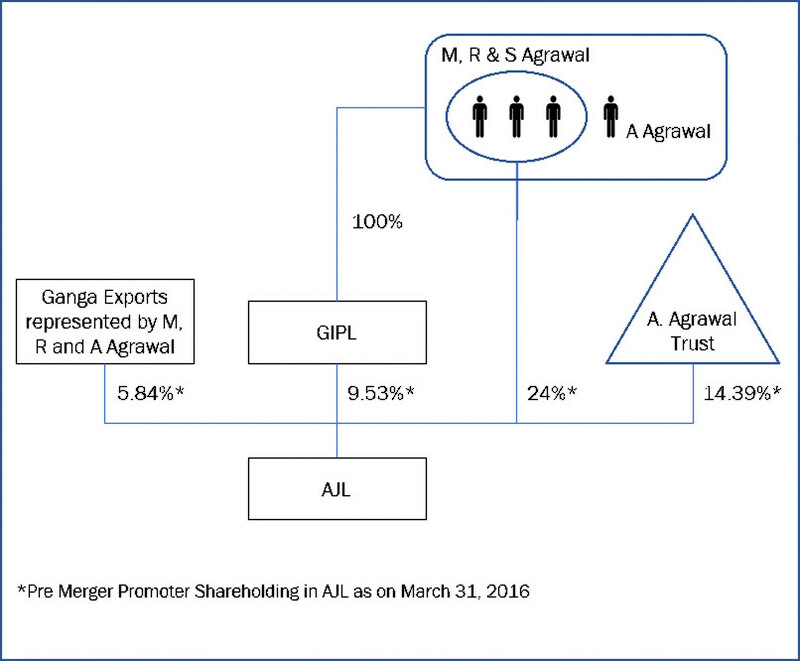 The total promoter shareholding in AJL is set out in the diagram below. The merger of GIPL with AJL was approved almost unanimously by the shareholders of both companies on October 10, 2017. As a consequence of the merger, GIPLs shareholding in AJL would be extinguished. Similarly, the promoters’ shareholding in GIPL would be extinguished, in consideration for which, AJL would issue 83,92,262 fully paid up equity shares to the promoter shareholders of GIPL. As a result, while the total promoter shareholding in AJL would remain the same, the shareholding of the individual promoters would increase. 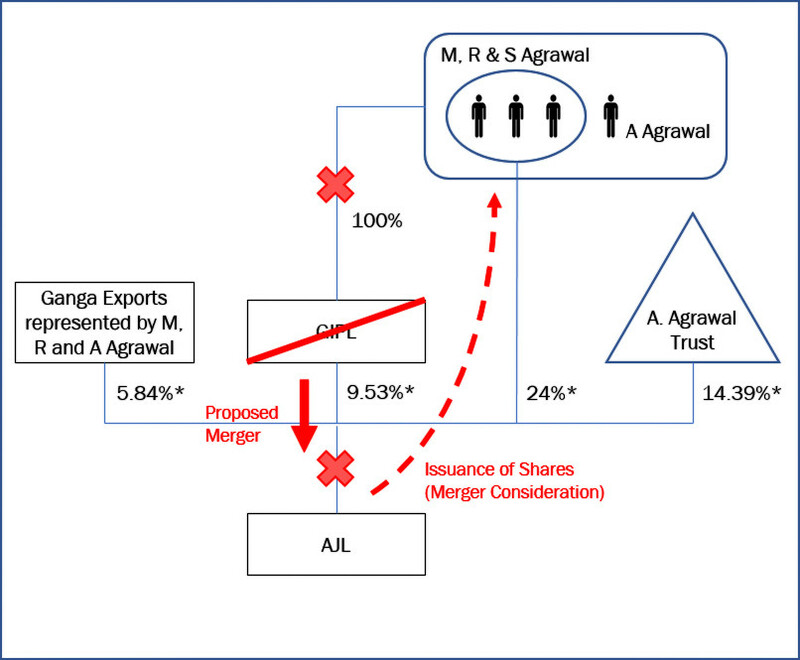 The merger, its consequences and the post shareholding pattern of AJL are illustrated in the diagrams below. In the instant case, the Indian tax authorities objected to the merger. The tax authorities contended that by allowing the merger of GIPL into AJL (which would likely have qualified for tax neutrality under the provisions of the Income Tax Act, 1961 (“ITA”), GIPL would in effect4 be transferring its shareholding in AJL to the promoter shareholders tax free. The tax authorities therefore determined that in view of the General Anti Avoidance Rule (“GAAR”), the merger was a deliberate measure to avoid tax and would constitute an impermissible avoidance arrangement and should therefore not be sanctioned by the NCLT. 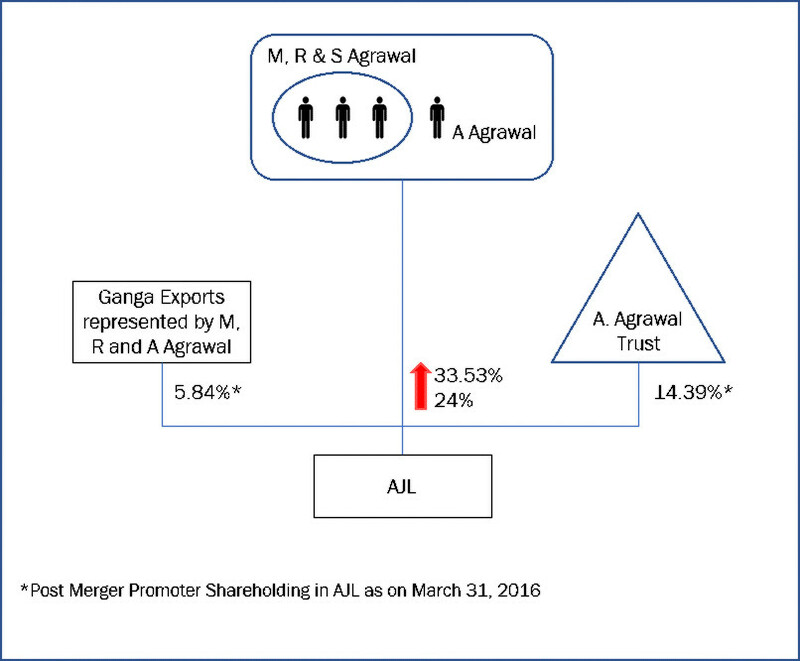 Recording that if the merger were to be sanctioned, the promoter shareholders of GIPL would receive shares of AJL without paying any income tax, which would not be in the public interest, the NCLT refused to sanction the merger. Finding merit in the objections raised by the Indian tax authorities, the NCLT was of the opinion that issues relating to tax should be settled prior to the scheme being sanctioned, instead of at a later stage after the scheme is sanctioned. The NCLT’s refusal to sanction the scheme continues a trend established in the case of Wiki Kids Limited and another v. Regional Director and Other5, wherein the National Company Law Appellate Tribunal (“NCLAT”) refused to accord to sanction to a scheme of amalgamation it assessed as being purely for the benefit of the promoters and no public interest was being served. In this case, the NCLT arrived at the conclusion that the scheme was not in the public interest primarily because it was designed to avoid payment of tax on the transfer shares of AJL from GIPL to GIPLs shareholders. While the Tribunal did not expressly label the scheme an impermissible avoidance transaction, that would therefore fall foul of the GAAR, it is clear that it accorded significant credence to the Indian tax authorities assertion that the scheme was such. The decision of the NCLT is cause for concern. Firstly, it is unclear whether sufficient analysis has been undertaken to determine whether the merger would in fact amount to an impermissible avoidance arrangement. An ‘impermissible avoidance arrangement’ is an arrangement entered into with the main purpose of obtaining a tax benefit and satisfying one or more of the following: (a) non-arm's length dealings; (b) misuse or abuse of the provisions of the domestic income tax provisions; (c) lack of commercial substance; and (d) arrangement similar to that employed for non-bona fide purposes. While the tax authorities argued that the main purpose of the merger was to avoid tax (i.e., obtain a tax benefit), the NCLT did not consider whether simply claiming an exemption from capital gains tax made available under ITA expressly for such mergers would amount to avoidance of tax.6 The NCLT also did not conclude that any of the tainted element tests had been met. To the contrary, the prima facie the merger appears to be bona fide, GIPL was incorporated in 1995, and has held shares in AJL since 2008. It likely was incorporated for legitimate commercial considerations, and in the absence of any evidence to the contrary, its merger into AJL (duly supported by commercial rationale set out in the scheme of amalgamation filed before the NCLT) should not have been viewed as a colourable advice or impermissible avoidance agreement. In fact, the Supreme Court of India has held, in the landmark case of Miheer H Mafatlal v. Mafatlal Industries Limited, that it is not the role of the court to “act as a court of appeal and sit in judgment over the informed view of the concerned parties to the compromise as the same would be in the realm of corporate and commercial wisdom of the concerned parties. The court has neither the expertise nor the jurisdiction to delve deep in to the commercial wisdom exercised by the creditors and members of the company who have ratified the scheme by the requisite majority…..The Court acts as an umpire in a game of cricket to see that both the teams play their game according to the rules and do not overstep the limits. But subject to that how best the game is to be played is left to the players and not the umpire”. Also, in Union Bank of India Ltd. v. United India Credit & Development Co. Ltd.8, the Calcutta High Court held that “where there are several legitimate alternatives, means and procedure for attaining the same object, there is no bar in choosing any one of them, according to the views of the directors and the shareholders of a particular company”. Further, in Circular No.7 of 2017 the Central Board of Direct Taxes (“CBDT”) had clarified that a proposal to declare an arrangement an “impermissible avoidance arrangement” under GAAR would be vetted first by the Principal Commissioner and at the second stage by an Approving Panel headed by a judge of a High Court. It is unclear that such procedure was followed in the instant case. It is therefore a cause for concern that in the absence of any illegality in the merger scheme, the NCLT refused to accord its sanction on the basis of mere allegations that the transaction would run afoul of the GAAR. Even if that were to be the case, there is no bar on the tax authorities (in fact the tax authorities have been empowered) to disregard and recharacterize the merger for tax purposes. This ruling reinforces the need for merger schemes to be vetted thoroughly from a GAAR perspective. The fact that a routine merger can also be blocked simply by the threat of the GAAR is also unlikely to aid the ease of doing business in India. 2 The tax authorities presumed that the gains should be treated as business income, as opposed to capital gains, since one of the business objectives of GIPL, as per its memorandum of association is investing and dealing in equity shares. This is a rebuttable presumption but the NCLT did not delve into this aspect further. 3 It is unclear from the ruling whether the tax authorities envisaged a dividend distribution in specie, or a sale of AJL shares followed by a dividend distribution of the sale proceeds. In the former, DDT would only be payable to the extent of GIPL’s accumulated profits. 4 Legally speaking, GIPLs shares in AJL would stand extinguished, and fresh shares of GIPL would be issued to the promoter shareholders (in consideration for the extinguishment of their shares in GIPL). 6 In fact, the Final Report of the Shome Committee on the GAAR concludes that the timing or sequencing of an activity is a business choice available to the taxpayer. GAAR cannot be invoked when taxpayer makes a choice about timing or sequencing of an activity to deny a tax benefit granted by the statute. 8  47 Comp.Cas. 689 (Cal). 9 Where it does not, and ownership is exchanged for cash consideration, the exemption falls away.